With shopping, decorating, baking, cooking, travel, entertaining and more all part of the holidays, it’s a wonder there is any time left over to just enjoy the season. 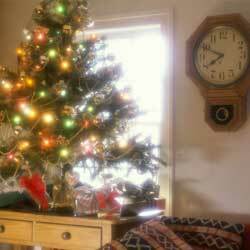 These time-saving tips can help you make the most of every minute without sacrificing the joy and celebration that matters most at this time of year. Start early! You may not enjoy seeing “Christmas Creep” in stores before Halloween, but if you start addressing holiday cards ahead of time, make freezer recipes for holiday meals or try shopping for holiday gifts with Columbus Day, Veteran’s Day and other fall sales, you’ll have far less to do the closer the holidays get. Tabletop topiaries are great for holiday decorating, and need nothing more than a festive bow for instant seasonal appeal. They also make a green and growing addition to your home when you need it most in the late winter months. Pick one up from the nursery for an instant gift – no wrapping needed! Cast stone cherubs and garden sculptures make wonderful holiday decorations set off by greens and berries. When the holidays are over, you don’t need to lug them into storage. 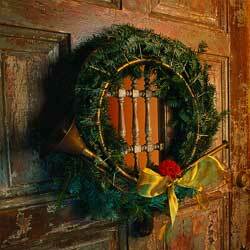 You can even change their decorations seasonally to reuse them as fun and whimsical accents throughout the year. Present gifts in reusable gift bags, stockings, baskets, tins and garden totes for easy wrapping job that’s recyclable. For even more flair, use a colorful scarf as an impromptu ribbon, or trim the package with seed packets or small garden tools instead of disposable bows. Start Amaryllis and Paperwhite bulbs now. Use potting soil rather than gravel for longer lasting blooms. 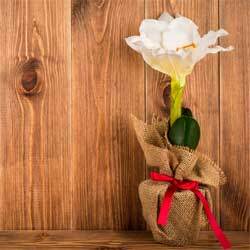 Also consider other living holiday gifts, such as fragrant herbs, luxurious poinsettias or even a shaped rosemary plant or miniature Norfolk Island Pine decorated for the season. Float a candle or a sprig of greens in a crystal bowl for an instant elegant center piece. Add more color with marbles or pebbles in the bowl, or choose a bowl with etching or seasonal patterns for subtle flair. 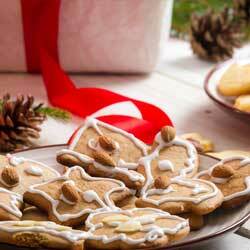 Start your holiday baking early and freeze doughs or completed recipes to save time later. Baked goods – cookies, breads and fudges – also make delicious and easy gifts, with no extra time needed for another batch if you’ve doubled the recipe. Keep a few extra wrapped gifts in a handy closet, labeling the contents with Post-It notes so you can quickly choose a gift for an unexpected guest. Easy items to give include warm gloves or socks, fragrant candles, seasonal photo frames, mini tabletop games, tote bags and luxury soaps. Don’t be afraid to delegate! Consider a pot luck holiday dinner, enlist your kids to keep the tree stand full of water, share shopping tasks with a sibling, join a cookie exchange for less stress holiday baking or shop online to have gifts wrapped and delivered right to the recipients.